The 8th CTC conference returns to its origins, to the University of Poitiers and Angoulême, home to a wealth of creative organisations and initiatives. In 1998 Greater Angoulême set up the MAGELIS Image Centre which now comprises 100 companies from key sectors of the image industry (audio-visual production studios, post-production studios, video game producers, serious game producers, mobile game producers, advertising agencies, design agencies, etc.). Furthermore, Greater Angoulême is currently in the process of establishing a technoloqy park where the Cultural and Creative Industries are one of the main themes. Second to Paris, MAGELIS in Angoulême is now the largest centre in France recording the greatest number of cartoons produced each year. 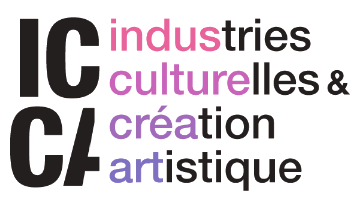 Whilst the 8th conference will aim to continue interdisciplinary research and dialogue on broad themes related to children and young people as consumers, the theme of the 2018 conference will be « Cultural and Creative Industries of Childhood and Youth » in order to reflect its location in Angoulême and the growing research and public policy interest in this topic. The conference aims to highlight research in this domaine and invites producers of cultural material to bring their views to the debate. The conference also welcomes work that analyses marketing techniques used towards young people as well as the socio-economic mechanisms that shape and control childhood cultures.